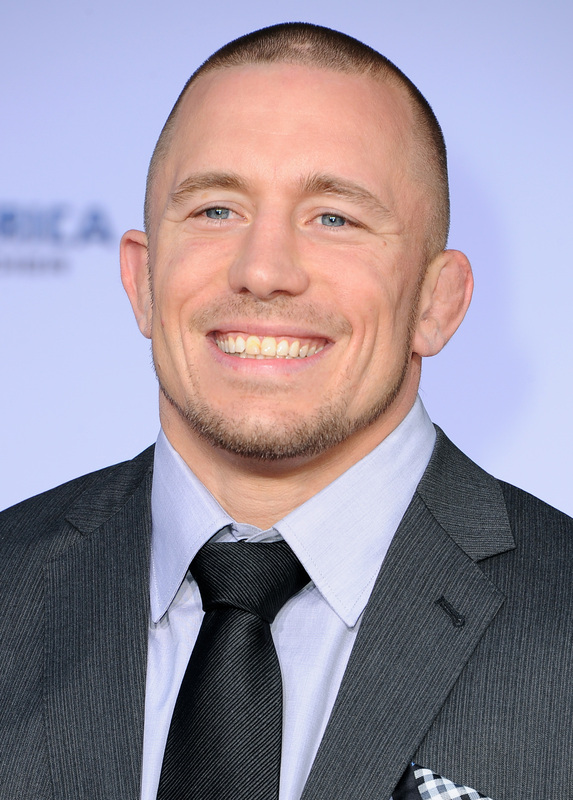 Looking at Georges St-Pierre it’s hard to imagine him as a young kid at school who got bullied on a daily basis by anyone. His main bully, and his biggest rival, during those ever so daunting, and in many cases, horrible, few years at school, was the unnamed alpha male of this story. The bully, who St-Pierre did not want to name in this story, was three or four years older than himself, an important player on the school’s hockey team, and significantly taller and stronger than Georges. Every day the bully would taunt, fight, and embarrass Georges – making his life a misery. The bully would often attack him on the school bus home. To make matters even more humiliating he would often try and tear off Georges’ trousers, leaving him bloody and bruised on the bus wearing little more than his underpants, in front of all of his classmates and the girls he went to school with. Speaking on Joe Rogan’s podcast, Georges explained one day he went home to his father with a black eye and told his dad of how he was being bullied at school by this one boy in particular. Georges’ dad found out where the boy lived and went to his home where he told the boy’s father to tell his son to stop. However Georges’ dad did more than this. He also noticed that the bully’s father was drinking heavily and had the impression that he was beating his children up too. From that moment on, though the bullying and fighting continued, Georges had a different impression of his bully. 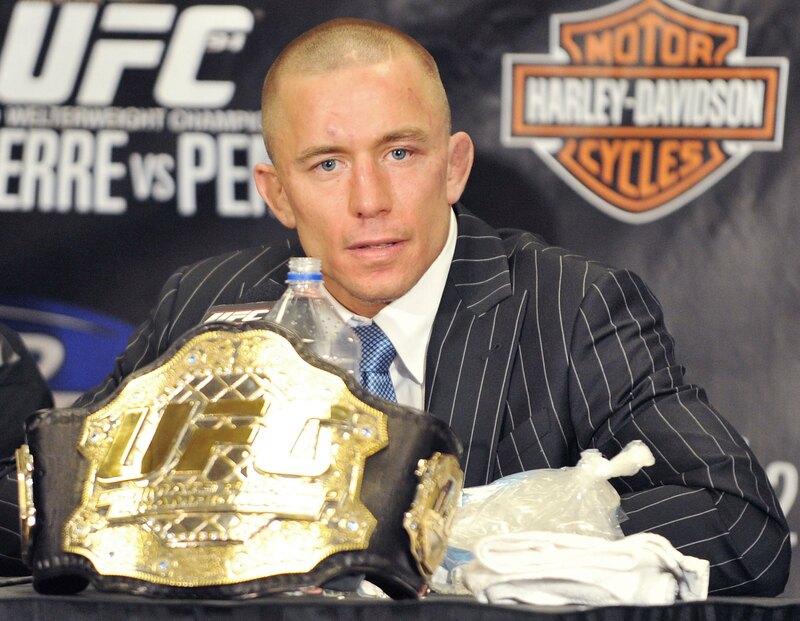 Skip forward numerous years and Georges St-Pierre is one of the poster boys for the UFC. He boasts an incredible record and holds a world title. Driving through Montreal one evening a few years back, a guy came up to Georges’ car, begging for money, and Georges recognised him. I put down my window. This guy, I swear this is true, is the guy who used to bully me in school. I say, ‘wait a second’, and I park my car. I say ‘what the hell are you doing here man?’, and he’s like… He thought I would be angry. Now I’m world champion, now I could beat him up. So I say ‘what you doing here man?’, and he says ‘well things aren’t going so well for me’. I was like ‘man, you’re a tall guy, you’re good looking, what are you doing here?’. So I give him everything I had left. I don’t know how much. A hundred or something. I said ‘get outta here man, you’re full of potential, when I was younger I wanted to be like you, you were a tall guy man, you were good looking, you were full of potential’. So I shook his hand and said ‘no problem’ and he said ‘thank you Georges’, and then I don’t hear about him. Then Georges explained that a few months later he was at his parents’ house having dinner when his dad told him that the former school bully had came round a few days earlier to thank Georges for what he did. With the money Georges gave him, he was able to turn his life around by getting a job and he wanted to thank Georges for saving his life. Georges concluded the interview by stating how good it made him feel to have helped his bully, despite all the pain he caused him, instead of beating him up or just leaving him on the streets.